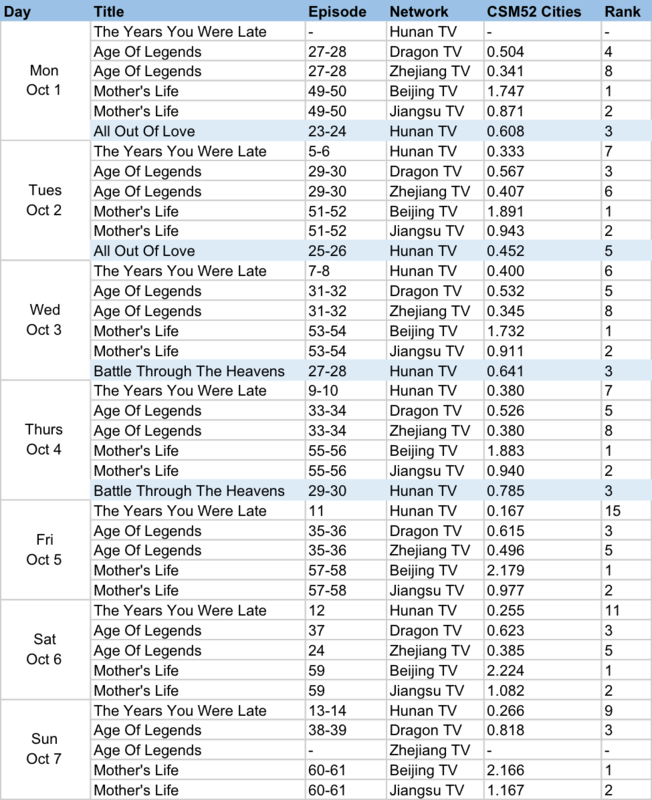 Hunan TV has been losing the primetime race for months, and it seems like the trend is set to continue. The effects from the new lineup that puts The Years You Were Late back to back with All Out Of Love is much more obvious on its second week. The Years You Were Late reached a series low with CSM52 ratings of 0.167%. At least the 10pm slot seems to be thriving. All Out Of Love managed to hit 0.608% while Battle Through The Heavens even climbed to 0.785%. Mother's Life's surges in its final few weeks to break past CSM52 ratings of 2%, and it has been pulling in numbers that are far ahead of the rest. Meanwhile, Ruyi's Royal Love in the Palace continues to be the reigning queen online. Anyone watching 'Age of Legends'? Is it good? Age of Legends is pretty good. If you like mystery and a lot of action then this drama has it all. Woah second week in a row that Zhao Liying and Yang Mi’s name did not make the list. 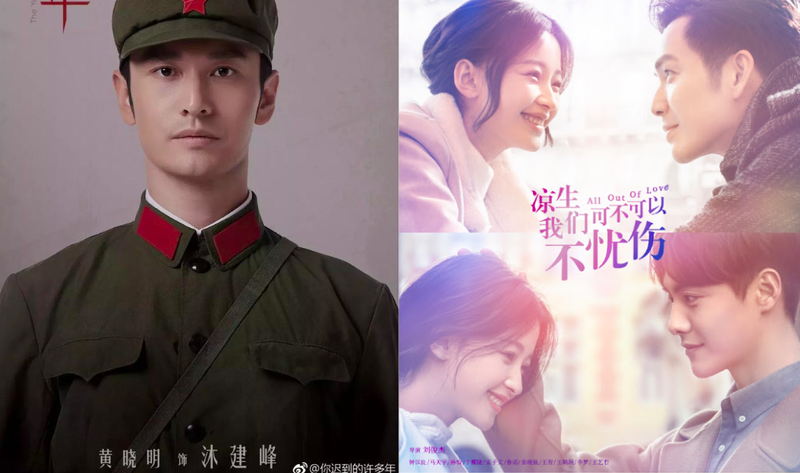 Yang mi realistically goes on and off the list but I thought Zly is supposed to be glued permanently on the list. Anybody knows the real relationship between her and her manager Huang Bin? Heard they have an affair, after she dates FSF she fell out of the relationship with her manager so she wasn't able to get into any drama or work at all, such as endorsing ads. She was able to get into big productions because of him. I need more Battle Through The Heavens.